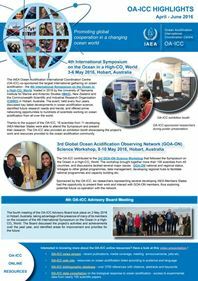 Understanding the potential consequences of rising ocean carbon levels and related ocean changes for marine life and ecosystems is a high priority for the ocean research community and marine resource management. In the mid-1990s, two geoengineering proposals to mitigate global warming by carbon sequestration in the deep sea led to research measuring the effects of increased deep ocean carbon dioxide levels on marine animals. 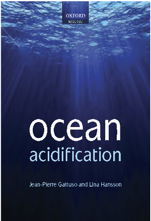 A few years later, ocean acidification and its effects on marine life became an international research priority. Here we provide an overview of several technical developments by scientists and engineers at the Monterey Bay Aquarium Research Institute (MBARI) that have enabled and enhanced deep-sea exploration and experiments to assess the effects of changing ocean conditions on benthic marine animals. Improvements in remotely operated vehicles (ROVs) have increased the efficiency of dive operations and enabled more complex measurements and experiments at great ocean depths. In situ respirometers and Free Ocean CO2 Enrichment (FOCE) mesocosms have allowed measurement of physiological and behavioral responses of deep-sea animals to environmental change. A laboratory-based, gas-controlled aquarium system that regulates oxygen and pH in chilled waters was engineered to measure the physiological responses of deep-sea animals and biological communities to expected future environmental conditions. Recently, MBARI engineers and scientists developed an Upwelling Simulator, a lab-based aquarium control system that mimics ocean conditions during coastal upwelling. This system is programmable, allowing independent control of pH, oxygen, and temperature to enable experiments that examine the effects of present-day upwelling conditions, expected future conditions, or other changes in these environmental conditions. In sum, collaboration between the marine operations group, engineers, and scientists at MBARI has advanced methods to explore the ocean and understand the consequences of ocean change for marine organisms and ecosystems. Barry J. P., Graves D., Kecy C., Lovera C., Okuda C., Boch C. A. & Lord J. P., 2018. Chasing the future: how will ocean change affect marine life? Oceanography 30(4): 60-71. Article.